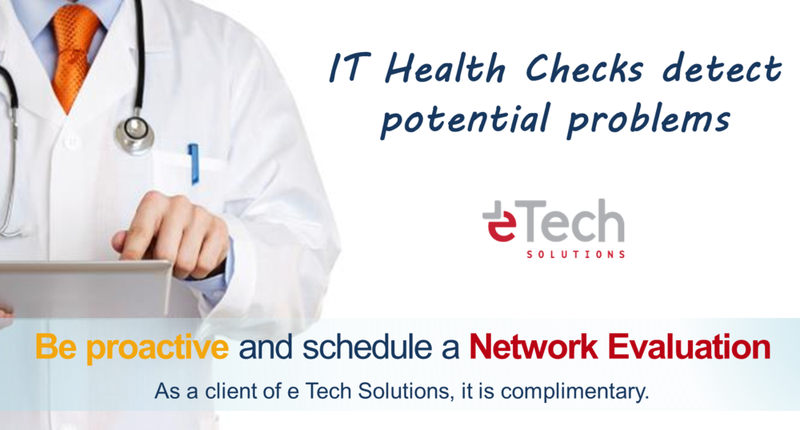 e Tech Solutions has many years of experience helping businesses just like yours leverage business continuity solutions to increase productivity, reduce costs and satisfy service level and compliance requirements. 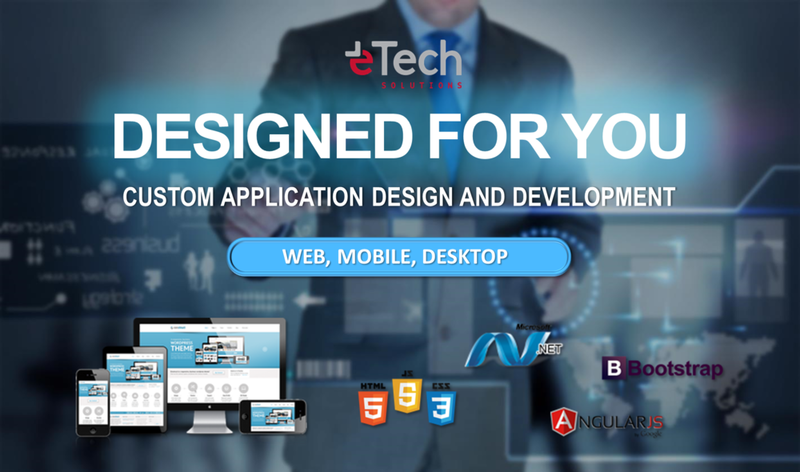 No client challenge is too big or too small, and our attention to detail and superior follow-up are trademarks of the e Tech Solutions experience. We start by determining your specific needs and identifying existing operational gaps. Whether you need to be up and running over a certain period of time, back in business in very short order or can’t afford to be down at all, we’ll work closely with you to make a detailed, comprehensive assessment of which business processes will suffer if certain data is lost or becomes unavailable. 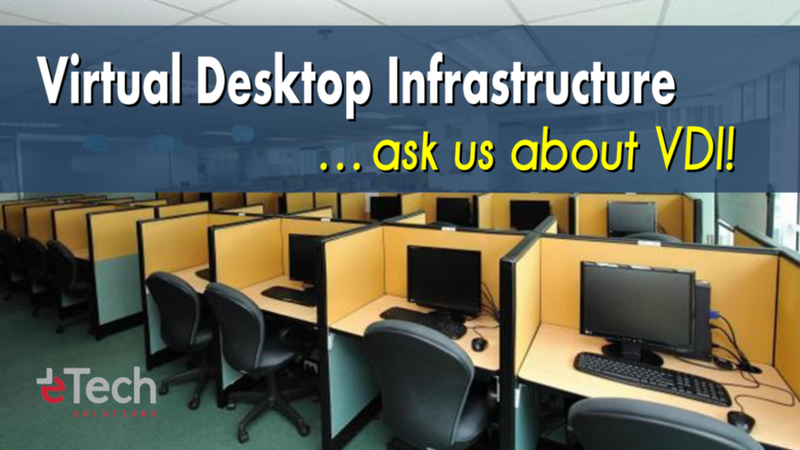 We then correlate your business needs with the best possible technologies on the market. By leveraging our partnerships with industry leaders, we‘ll not only architect and implement a best-in-class business continuity solution that will get you back up and running, we’ll also ensure that it’s scalable and flexible enough to keep pace with your growth – all while minimizing your total cost of ownership. That's the value of working with e Tech Solutions. But that's only half the story. Just because your systems are up and running doesn’t mean employees, customers and partners can reach the data they need. So in addition to designing and implementing the very best backup and recovery solution for your money, our business continuity specialists will audit your entire IT infrastructure to ensure it is business-continuity friendly. We’ll examine your exterior network infrastructure. We’ll address all your network access control issues, and we’ll keep security tight by rebuilding firewalls, employing encryption best practices and updating your virus protection if necessary. But we don’t stop there. 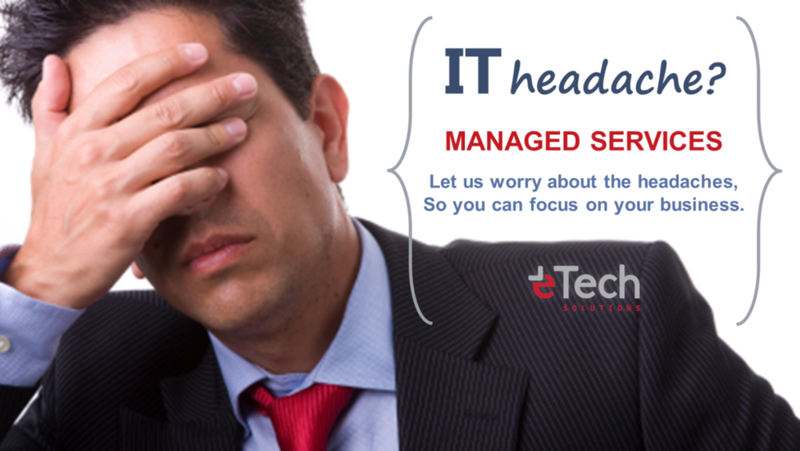 We then harden your Web, application and database servers to ensure all your data remains safe and sound. We’ll even employ field-tested policies and procedures to help you manage and protect off-site data vaulting. Then we’ll move on to the often-overlooked areas, like power and cooling, to ensure your systems are running as efficiently as possible. We do this in total alignment with “Project Big Green” – an IBM initiative that includes new products and services designed to sharply reduce data center energy consumption. Nothing is overlooked – nothing is left to chance. Evaluate the impact of all business and IT changes on your business continuity plan. Identify the potential threat events most likely to impact critical operations. Leverage best-practices methodologies to manage business continuity planning. 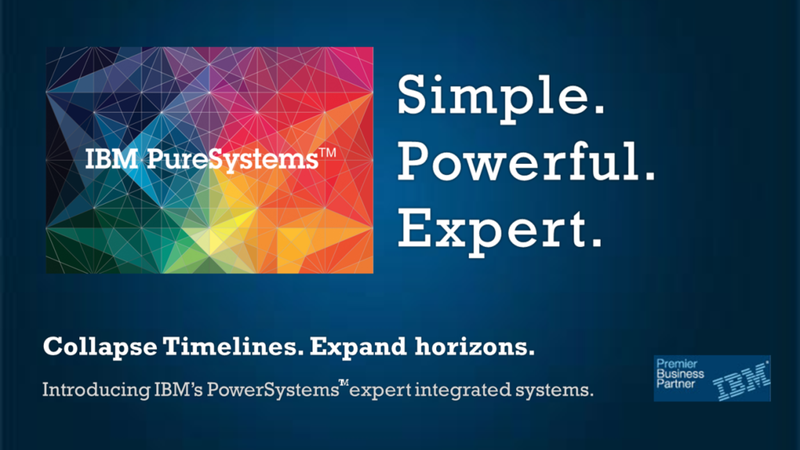 Implement best-in-class business continuity technology solutions. Test your new solution under a variety of conditions. Conduct regular reviews with business owners, planners and IT managers. Keep you performing up to all regulatory compliance standards. 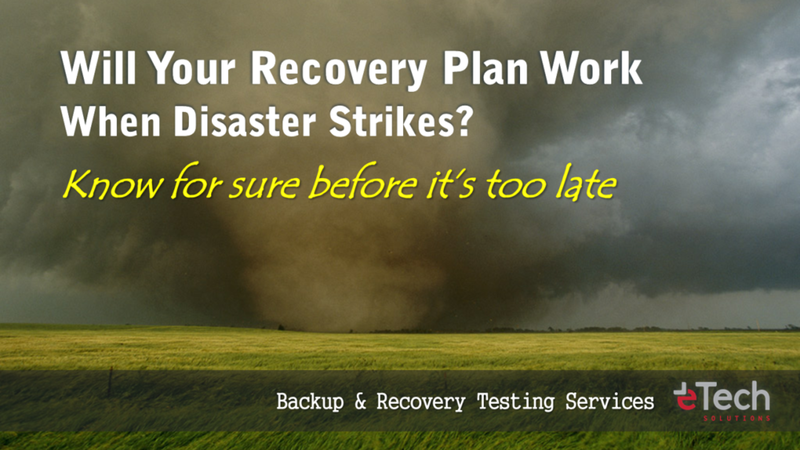 Contact us to learn more about our Business Continuity services.